There are two great no-annual-fee credit cards that offer quarterly bonus categories. 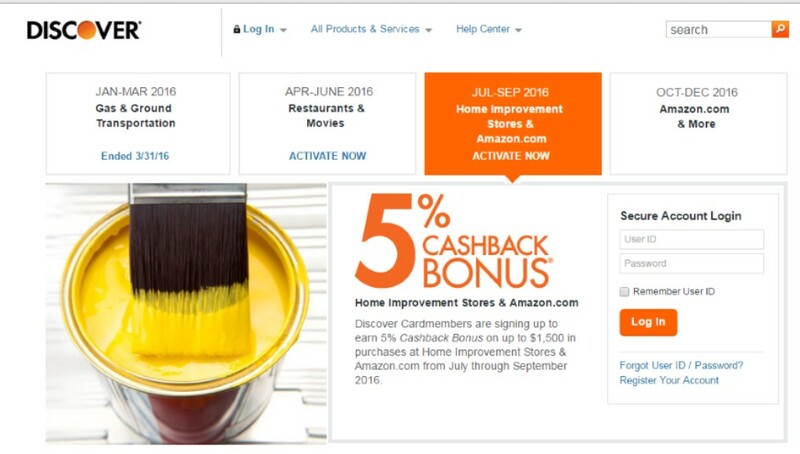 When you buy products from stores in those categories during the specified time frame, instead of the usual 1% cash back or 1 point per dollar, you’ll earn 5% or 5x points. Each of these cards offers the bonuses for up to $1500 in purchases each quarter. You’ll need to be sure to activate these category bonuses before mid-September, so why not go ahead and do it now? 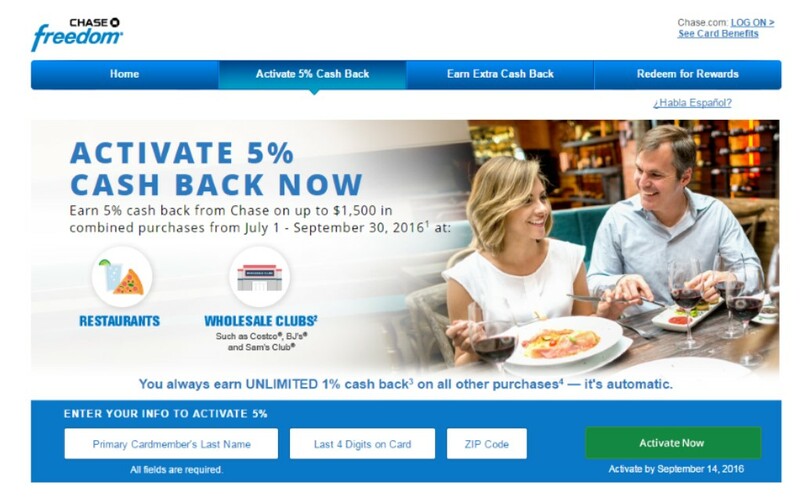 Next, the Chase Freedom card offers 5% cash back – or 5x Freedom points, which can be worth more than 1 penny per point – on spending at Restaurants and Wholesale Clubs. That comes just in time for those who use Costco as they now only accept Visa. You can activate your Freedom bonus here. Quarterly bonuses are a great way to increase the amount of points or cash back you earn – just remember to use these cards beginning on July 1! On my second ski trip this season I returned to Vail, Colorado for the first time in 9-10 years. Our group stayed at the Landmark Condominiums – a property that I don’t think even existed during my last stay. It’s got a terrific location – right on the frontage road of I-70 and just a block away from the slopes on the other side. There’s an underground garage for those who need to park. Even without a car it’s easy to move around the Vail Valley as the public bus stop is right at the end of the Landmark’s driveway. The free bus can take you wherever you need to go on its route and can even connect you with the (paid) bus to Beaver Creek, if you want to ski there. Each unit is independently owned so decor varied from unit to unit. Most of our group had 2BR units but my friend and I had a 1BR. Not surprisingly that meant that the bedroom contained only a single queen bed. I used the sleeper sofa and after finding a quilted duvet to help act as an additional mattress pad, actually slept pretty well. 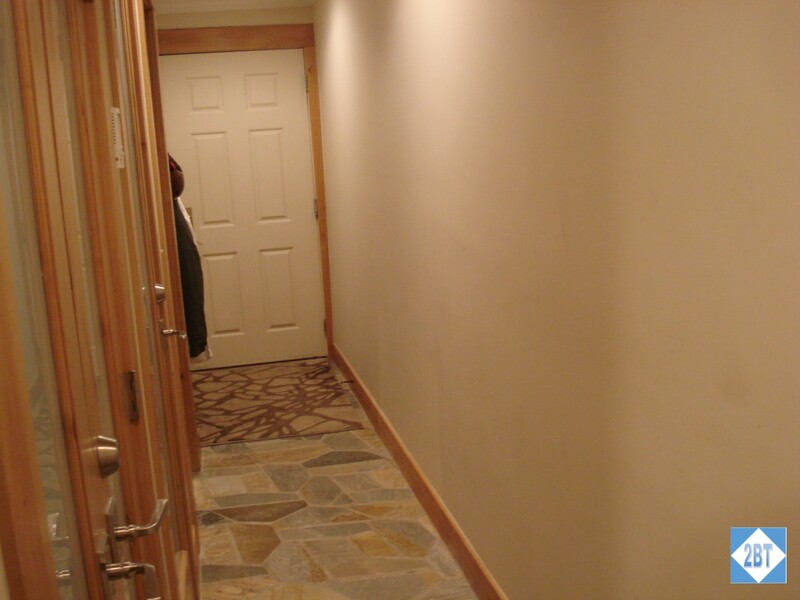 The hallway led past the bedroom into the living room. It had several hooks on the wall, which was great for hanging up our coats so we didn’t have to try to squish them in with our clothes.